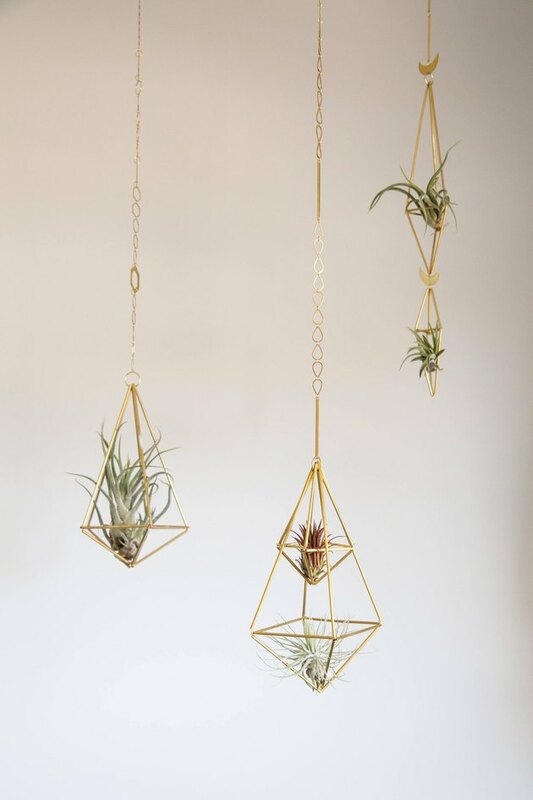 Air plants: They're one of those things you've heard people mention, but if someone asked you about them, you'd be like, "They are plants, that, uh ... float in the air?" And then you'd awkwardly moonwalk away and never talk to that person again. 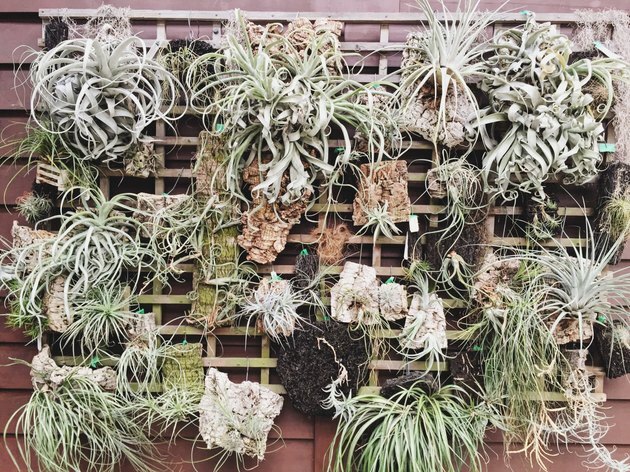 Most of the air plants you've seen are part of the Tillandsia genus. They're epiphytes, meaning they don't need soil to grow and are natively found clinging to tree branches in the southern states of the U.S. down through Central America and South America. No soil, no mess. What's not to like?! How do I take care of an air plant? 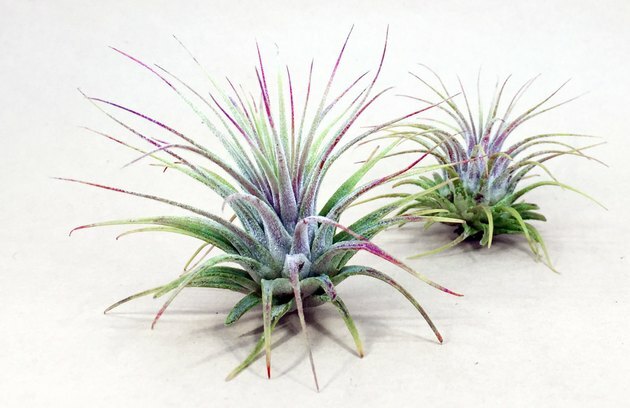 Air plants seem easy to take care of on paper, but they do in fact need more than just air to survive. 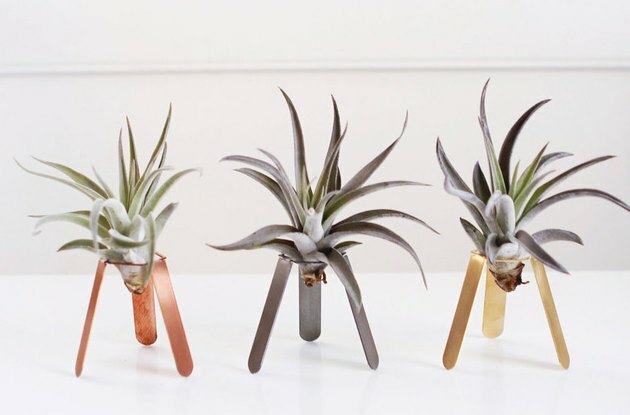 Because they're mostly found in tropical climates, it's important to make sure your air plant is warm enough. The general rule is if you need a sweater, your air plant is cold and needs to be moved into more sun. When it comes to watering, you have a few different options. 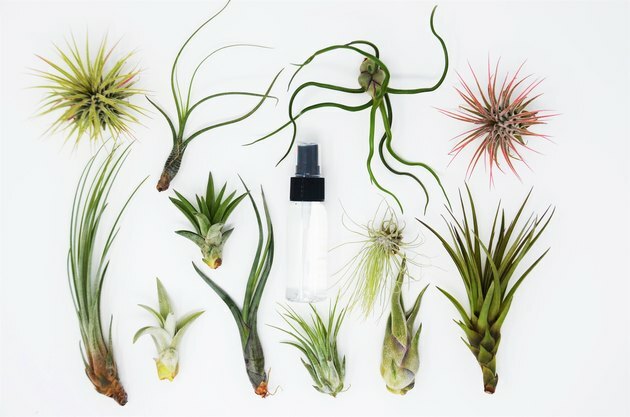 How often and how much water to give your air plant will depend on the type of plant you have, the climate, and your schedule. If you've got time, mist the plant every day, getting it wet on all surfaces. If you're of an "oh-right-I-forgot-about-my-plants-again" type, submerging your air plant in water every two weeks or so might be more your speed. Fill a dish with non-softened water and submerge your air plant in it for about 12 hours. After 12 hours, shake off the excess water and return your plant to it's home. It shouldn't need watering for two weeks. You might be thinking, Won't that lead to over watering? 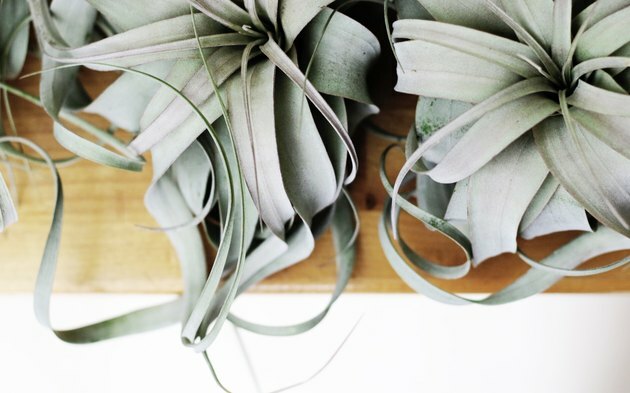 No, that's part of the magic of an air plant — it will only soak up the water it needs. Kind of like that person who leaves two bites of chocolate cake on their plate because "they're full." How can I tell if I need to be watering it more? The watering advice above is standard, but things like temperature, air conditioning, and light can mean changes to your watering schedule. Keep an eye on the shape and color of the leaves of your plant. If you notice the leaves are curling under or turning brown, shorten your watering schedule to every 10 days instead of every two weeks, and so on, until you find the right amount. Or move the plant into a humid environment (like a bathroom) to give it a boost of mist. Since air plants don't require soil, they can sit in just about any type of vessel. One popular way to display them is to place them in 3-D geometric shapes (like the photo above). Small vases also work. Some people like to place them in sea urchin shells. Once in your air plant's life, it will flower and create tiny little baby air plants, or "pups," as they're delightfully called. When the baby plants are about one-third to one-half the size of their mother, gently twist and pull them from their base. The mother plant will soon die, but she will live on through her pup. Your local plant nursery will have them, but you can also get them online. 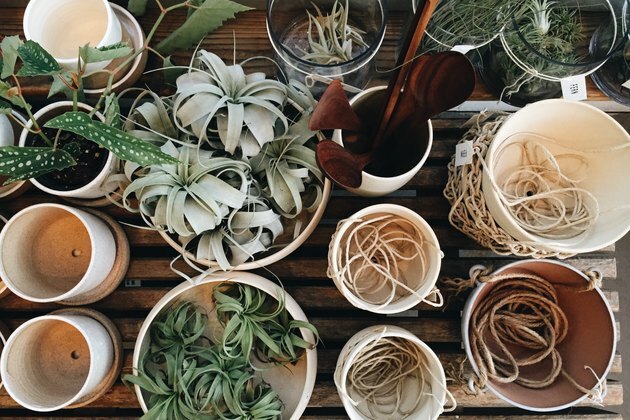 Etsy has a wide selection (we especially like the seller Houseplantshop) and you can also find options on Amazon or at Air Plant Supply Co.